Featuring a black glass Lazy Susan and unique wooden tripod design, the dining table is one-of-a-kind. The wenge wood veneer table top provides a rich and warm hue for your dining room. 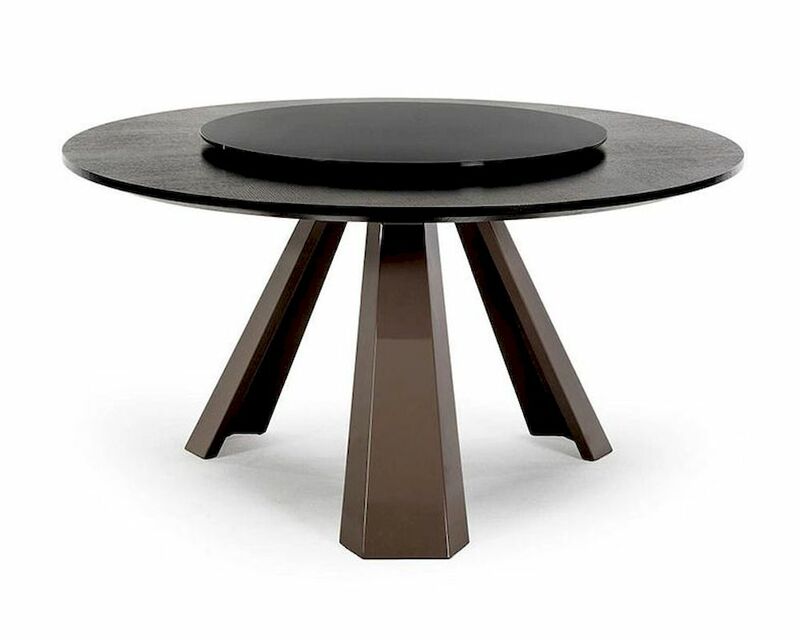 Round Wenge Table - DIA:59" x H:30"